Formed in 2014 by Kate Anderson, Patrick Sandford and Simon Slater, INGENIOUS PURPOSE creates artistic experiences that entertain, challenge, and invigorate audiences. See ‘About’ for information about the company . *NEWS! 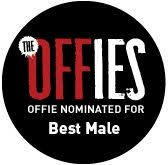 * Patrick Sandford nominated for an Offie (The Off West End Theatre Awards) for best Male Performance for GROOMED.